NEW YORK (November 4, 2015)– The National Organization on Disability today announced that Dr. Ronald L. Copeland has been elected to its Board of Directors. 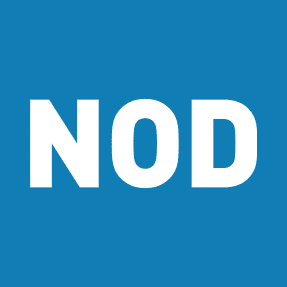 The unanimous vote came at NOD’s Board of Directors meeting. Dr. Copeland is Senior VP, National Diversity and Inclusion Strategy and Policy & Chief Diversity and Inclusion Officer at Kaiser Permanente, one of America’s leading health care providers. Dr. Copeland has led Kaiser Permanente’s efforts to use electronic health records to improve the quality of care for patients from traditionally underserved groups. He is a member of Kaiser Permanente’s Executive Diversity and Inclusion Council, a group composed of the chairman/CEO and other C-level leaders who oversee executive accountability for embedding the diversity and inclusion strategy throughout the organization. Additionally, he is chair of the Kaiser Permanente National Diversity and Inclusion Council, which develops and implements the diversity and inclusion strategy and policy recommendations. He previously served as President and Executive Medical Director of the Ohio Permanente Medical Group, which he joined in 1988 after completing a six-year tour in the United States Air Force Medical Corps. Copeland is a board-certified general surgeon and a fellow of the American College of Surgeons.